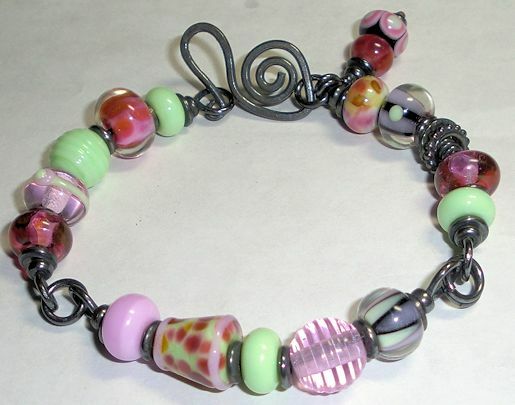 I made the beads and assembled these bracelets this past weekend. I’ve got to come up with different color combinations. I’ve used the pink/green scheme before. The turquoise/slate one is a new scheme. 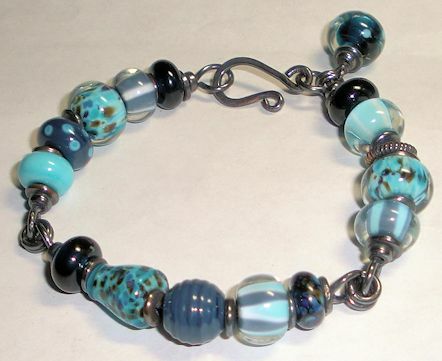 I tend not to use turquoise glass since it can be finicky.